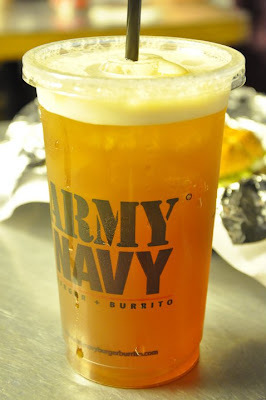 My expectations were high when I finally entered the doors of Army Navy. Finally because I've meaning to go here for the longest time, but their branches in Alabang and Tomas Morato were too far from me. The chance came up when I saw the the sign at Harbour Square near CCP Complex. 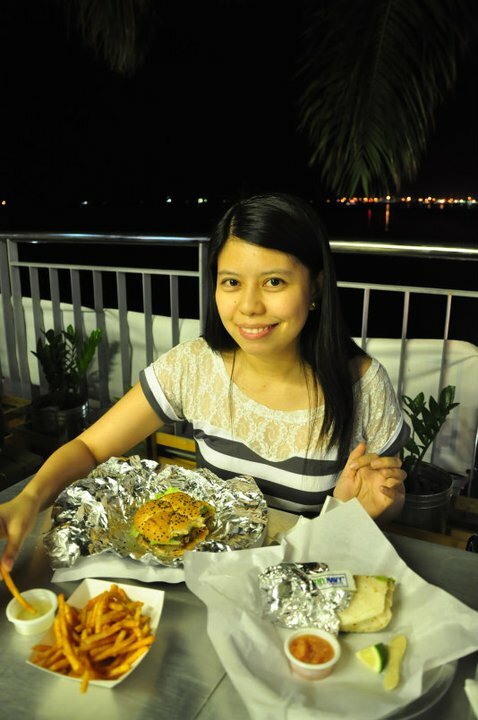 Army Navy Classic Burger. Quarter-pound beef patty. Lettuce and Cilantro served with Salsa and a Slice of Lime. Freedom Fries. Seasoned thin cut, crispy and zesty fries. The oil from my Classic Burger is dripping the moment I took it out of the foil. It tastes good but too much oil overwhelmed me. The burrito is so so, there's not much steak in it and I've had better ones for the same price or even less. On the other hand, the Freedom Fries was very good, kinda reminded me of McDonald's Twister fries minus the twist and just thinly sliced. The freshly brewed Iced Tea or Libertea was also a hit to me, just the right amount of sweetness. After months of waiting to try out Army Navy, I can now say that the food is overrated. But that's just me.